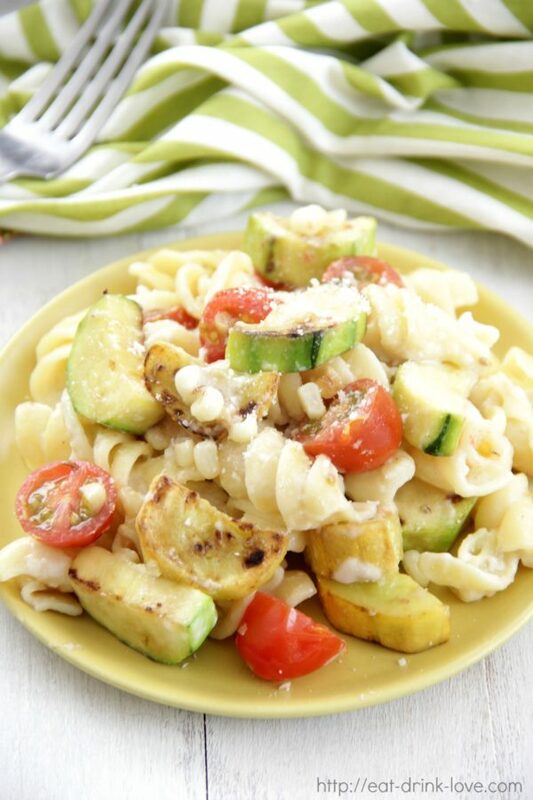 Summer Vegetable Pasta - Eat. Drink. Love. Bringing a toddler to the grocery store can be quite an adventure. In our case, our weekly grocery trip usually takes about 2 hours. First, we have to be sure to grab one of the shopping carts that looks like a car. Then, as soon as we get into the store, Maddie wants a pink cake pop from the in-store Starbucks. And if the store is out of them, her daddy will walk over to the regular store in the same shopping center to get her said pink cake pop (Yeah, she’s got him wrapped around her little princess fingers!)! My poor husband, a slave to his wife and daughters! Once she has her pink cart and pink cake pop, we can finally start shopping…well, kind of. If a good song comes on the speakers, she’s gotta get out and dance in the aisles like a crazy person. Or, in the freezer and dairy sections she says, “Carry you, Mommy. A little cold!” (this is great fun with a 3-month old in tow as well who also wants to be held constantly!)! Between all the whining and picking up, putting down, chasing down the aisles, we usually leave the store to head back home looking like we just came from a great battle! On the other hand though, we’ve been having a lot of fun in the produce section talking about different fruits and vegetables. Even though Maddie won’t actually eat vegetables besides salad, I still think it’s good to talk about veggies and show her what everything is and let her at least try them. Last week at the store, we walked about the squash and zucchini and Maddie said, “Buy it, Mommy!” and so we did! I also picked up some fresh corn and Maddie had a lot of fun pulling the husks and silks off once we got home. Oi, what a mess that was for me to clean up! 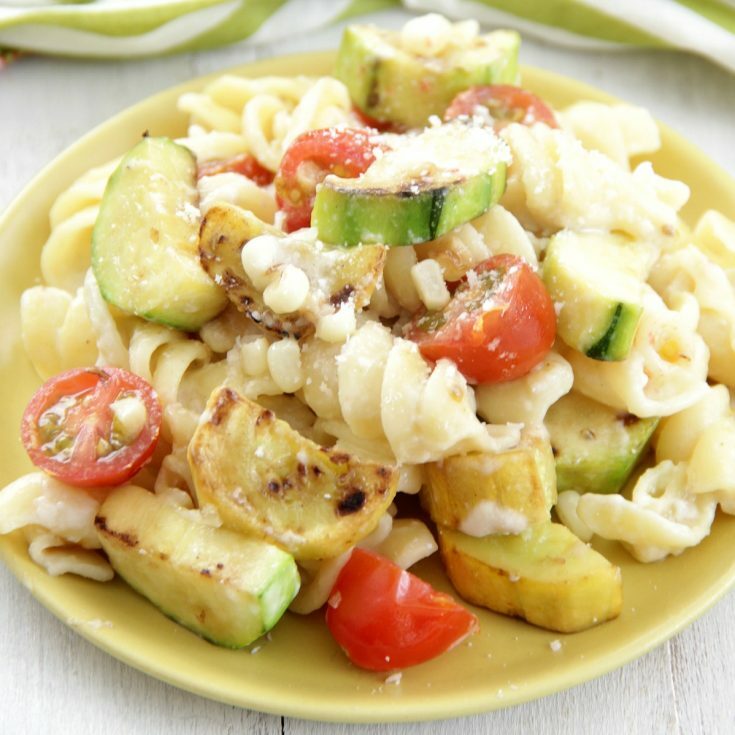 We decided to make a simple summer veggie pasta dish with our veggie stash. 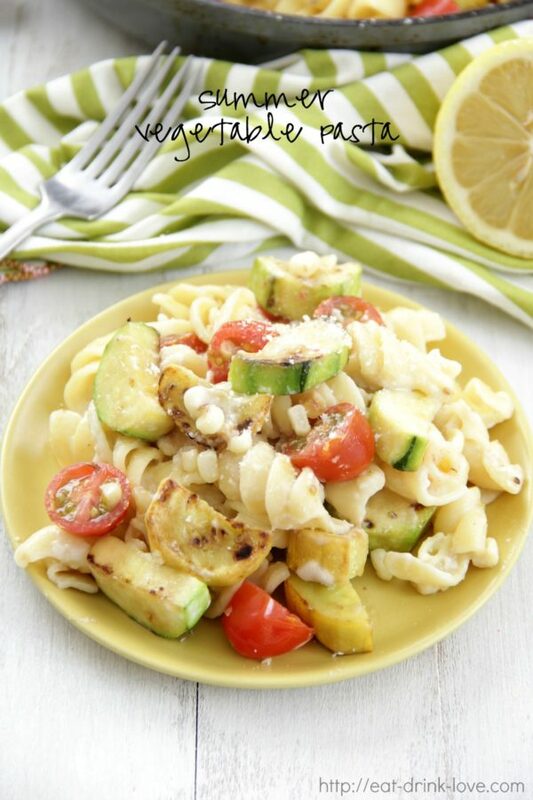 This pasta recipe is light and flavorful and good for weeknight meals and uses zucchini, squash, and fresh corn shaved right off the husk! You can do your chopping the night before if desired. For the sauce, I made a lemony creamy sauce, except there is no actual cream in the recipe. With just a little butter, milk and Parmesan, you can get a nice alfredo-like sauce without all the fat and heaviness! 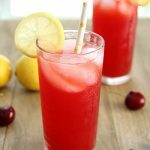 The lemon adds a nice finishing touch as well. 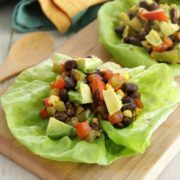 As always, you can easily change up the veggies or add others if you want. I like this dish meat-free, but if you want something more substantial, grilled chicken or even shrimp would be great to add as well! 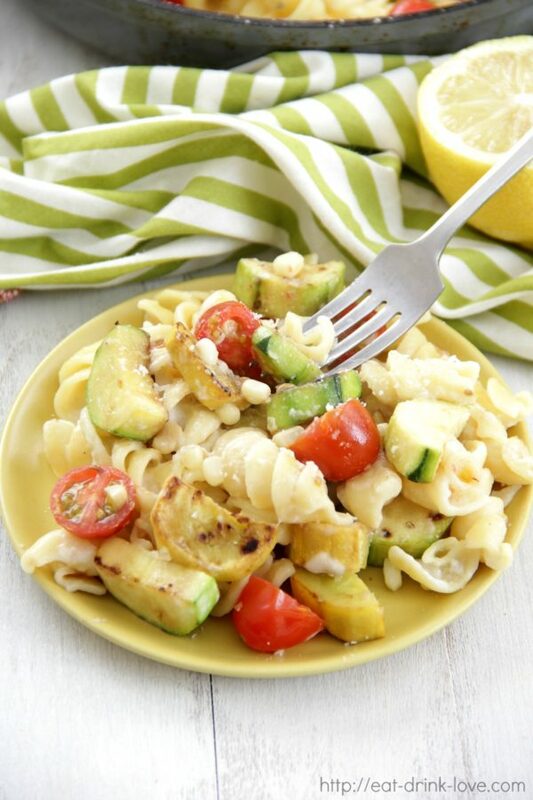 This perfect summer pasta is made with loads of fresh summer vegetables and tossed in a light and lemony sauce! Cook pasta according to package directions. Drain and set aside when finished cooking. 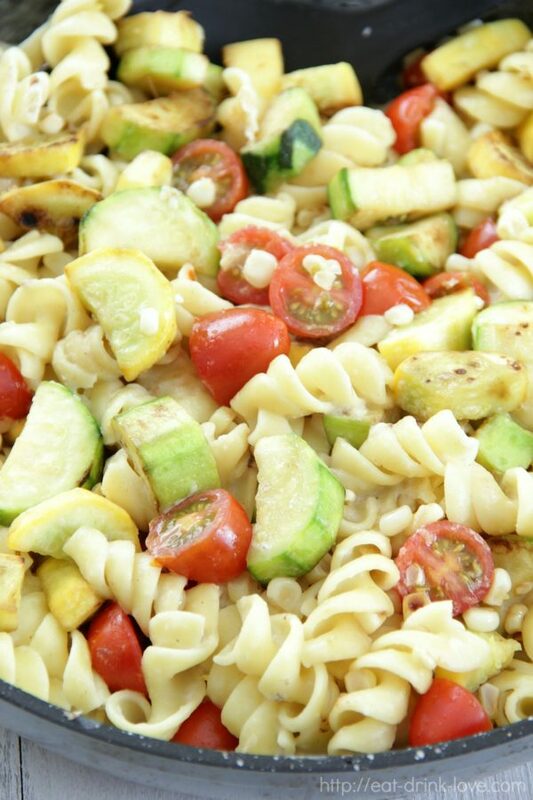 While the pasta cooks, heat the olive oil in a large non-stick skillet over medium heat. Add the onion and cook for 1 minute. Then, add in the sliced zucchini and squash. Saute for about 3-4 minutes until the veggies are just tender. Stir in the tomatoes, corn and garlic and cook for one more minute. Transfer the veggies to a plate and set aside. Place the skillet back onto the heat. Add the butter and flour and stir until the butter is melted and the flour is cooked, about 1 minute. Pour in the milk and whisk together until the mixture starts to thicken. Whisk in the lemon juice, zest, and Parmesan cheese until combined. Add the cooked pasta and veggies back into the pan and stir to coat with the sauce. Season with salt and pepper to taste and additional Parmesan if desired. Serve. 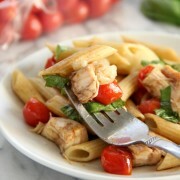 Check out these other great pasta recipes too!